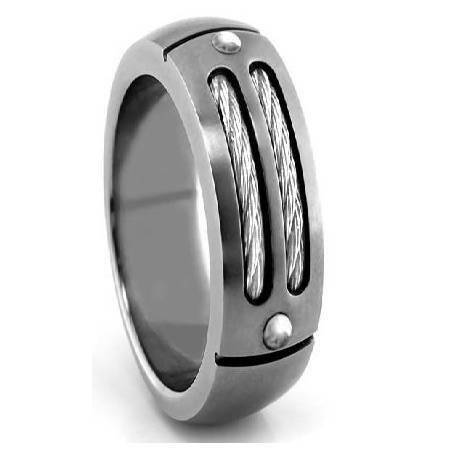 Like a freshly built skyscraper, this ring somehow manages to combine powerful ruggedness with sleek sophistication.With two cables fashionably offset by a polished bar and two high polished screws, this durable stainless ring is the perfect way to showcase your red-bloodedness in a a tasteful fashion.Note: Comfort Rings are usually 1/2 size smaller. We recommend having your finger measured for a comfort fit ring at your local jewelry store first to ensure the correct fit. I ordered a half size up but had to return that one and order back down to normal size worn. We reordered and got the size 14 and it has worked perfectly. 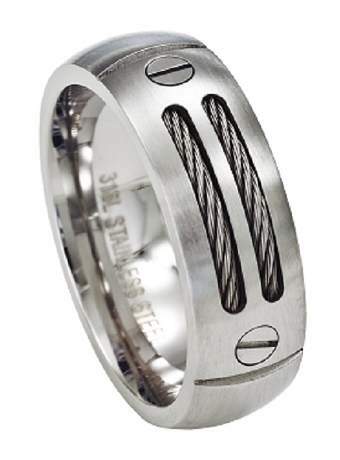 My new hubby works in construction and the ring is designed in a great way for such professions (and affordable). It's a great choice and service/customer service was fantastic! 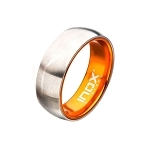 Really good quality ring, very comfortable to wear. Sizing was right on, shipped and received on time. Excellent customer experience. Top quality ring, very well made and quick shipping. Thanks.